Ford of Europe is cutting production at its last vehicle production site in the UK. Ford's Southampton factory in southern England, which makes the Transit light commercial vehicle, will go to one shift from two during the first three months of 2009. The company said it was responding to significantly reduced demand for commercial vehicles across Europe. Demand was already down 10 percent from 2007 and is expected to fall further this year as a result of the economic crisis. 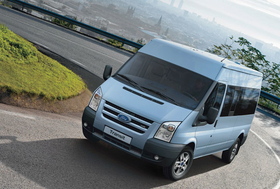 Transit sales in Fords main 19 European markets fell 8,800 to 173,100 last year. More than 50 per cent of the Southampton plant output is exported. Based on forecast European demand for vehicles in Transit's market, Ford will align shift patterns with the vehicle volumes that will be required from the Southampton plant, Ford said in a statement. In February and March, the factorys early and late shifts will be replaced by a single daytime shift. Fords plant at Kocaeli in Turkey, which also builds Transits, has also reduced its output.